Jody Hedlund is the author of over a dozen novels, including With You Always, Love Unexpected, Unending Devotion, The Preacher’s Bride, and A Noble Groom, and winner of the 2014 Carol Award for historical romance. She received a bachelor’s degree from Taylor University and a master’s from the University of Wisconsin, both in social work. She lives in Michigan with her husband and five children. She loves hearing from readers on Facebook and on her blog at http://www.jodyhedlund.com. 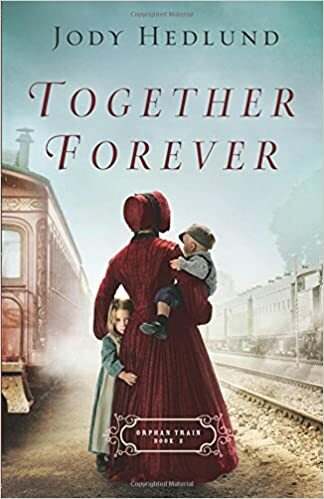 Orphan trains are a unique part of our country’s past and I was glad to see a book on this subject. I liked the author’s description of the orphan train, both its good qualities and seedy underbelly. However, the good parts stop there. There was so much cliché and run of the mill tropes that I wanted to puke. Each character was exactly the way that they should be. She, delicate and elegant. He, handsome, strong jaw, dark past. Their romance? Completely unbelievable. There were so many makeout sessions in front of the orphans that I felt scandalized for them. This is 1912, mind you, not 2018 where this type of behavior is acceptable. Also, the ending made me throw the book across the room. Why is this type of writing accepted? Do we have no standards anymore?! I find it amusing that Marianne is so worried about her missing sister, yet does nothing to further the search. I guess she’s too busy, looking for her lost tongue. Oh wait. There it is, shoved down Drew’s throat. You can get your copy of this truly disappointing book here. I received this book in exchange for my review from Bethany House. All opinions stated above are my own. Beth White’s day job is teaching music at an inner-city high school in historic Mobile, Alabama. A native Mississippian, she writes historical romance with a Southern drawl and is the author of The Pelican Bride, The Creole Princess, and The Magnolia Duchess. Her novels have won the American Christian Fiction Writers Carol Award, the RT Book Club Reviewers’ Choice Award, and the Inspirational Reader’s Choice Award. Learn more at http://www.bethwhite.net. 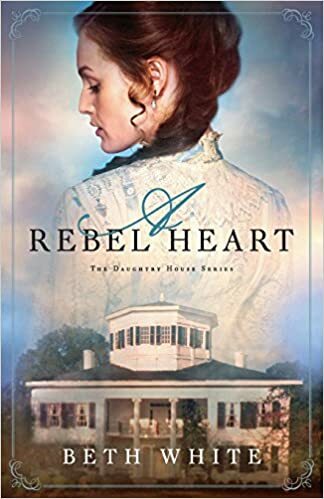 A Rebel Heart is one of those quick, heartwarming reads. It is neither spellbinding nor boring. It is just one of those, “That’s an OK book” books. I probably won’t pick it up and read it again. I liked our main character Selah, and the setting of just after the Civil War ended. I also liked the Southern perspective. Although the Northern-Southern love affair was entirely predictable, I still found it cute. This book was given to me in exchange for my review by Revell. All opinions stated above are my own.